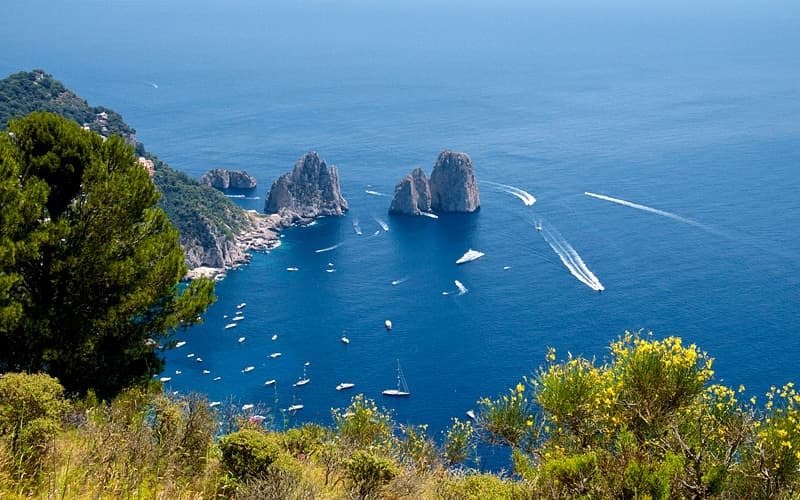 Rent a boat in Marina Piccola and explore Capri's most beautiful stretch of coastline. 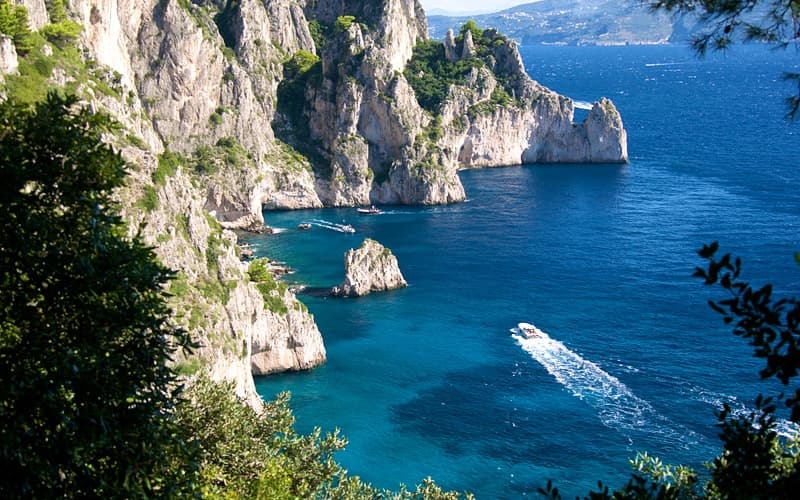 Discover the most beautiful stretch of coastline on Italy's island of Capri. The famous Faraglioni sea stacks, White Grotto, and Green Grotto are just a 5 minute sail away! 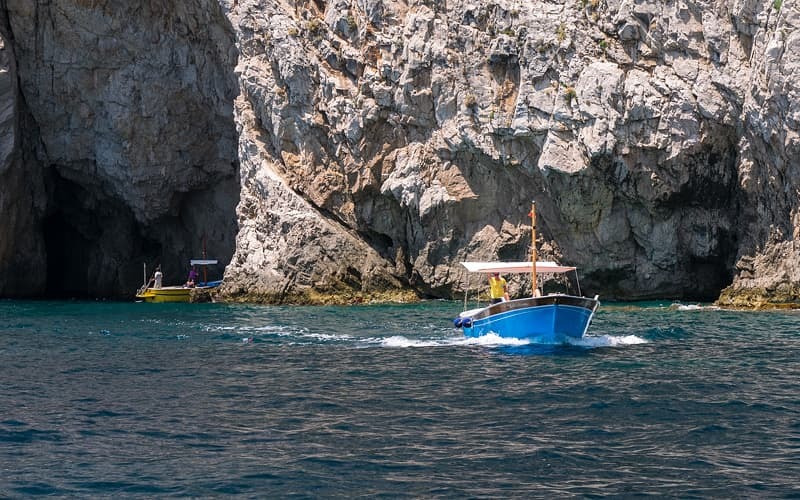 The only boat tour company on Capri which rents traditional boats with large sundecks even without a skipper...much more comfortable and relaxing than a rubber dinghy! 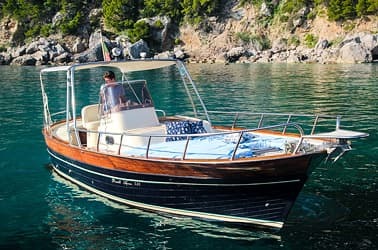 Wooden boats furnished with everything you need: beverages, fuel, towels, ice chest, and shower. 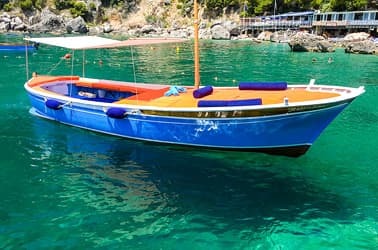 We also offer boats with bathrooms on board. 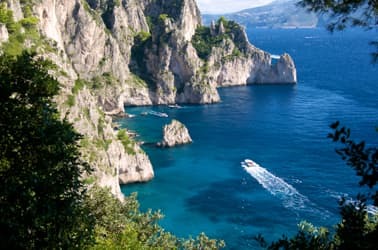 Marina Piccola is located on the southern coast of Italy's island of Capri, the warmest, sunniest, and least windy stretch of coastline on the island. This spot is much quieter than Marina Grande, where both the commercial port and marina are located. 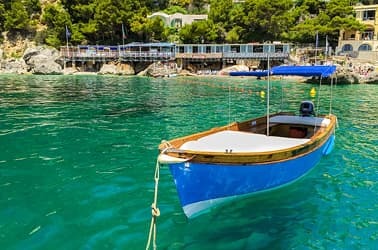 Before and after your sail, you can relax on the beach or have lunch in one of the waterfront restaurants nearby. Enjoy your day at sea exactly how you wish. 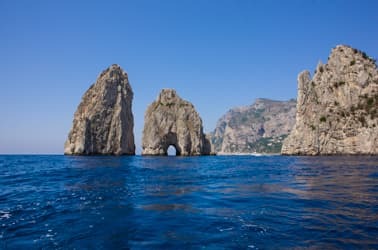 You can choose the type of boat, your tour itinerary around Capri and the Amalfi Coast, and where to stop for a swim and snorkeling. 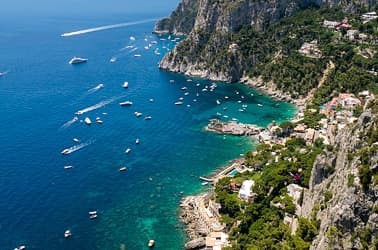 You can even arrange to have Prosecco and finger food on board, or stop for a meal at a restaurant on the water's edge. Your wish is our desire! Just let us know what you would like to do, and we'll organize the sail of a lifetime. 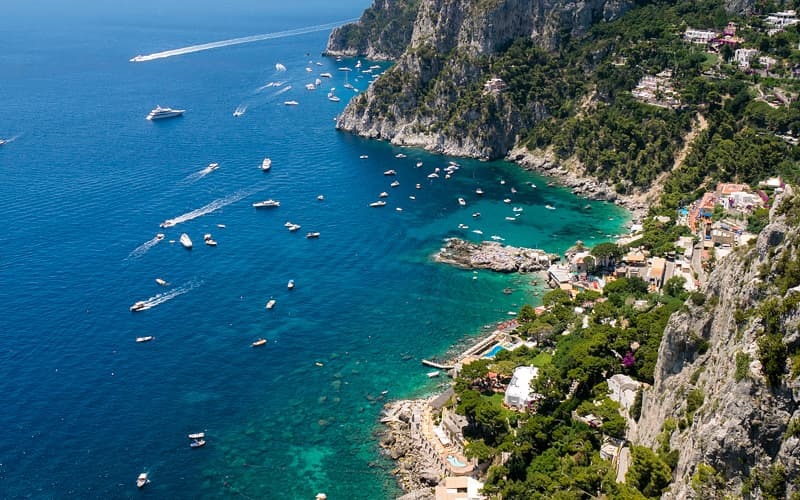 You can reach Marina Piccola from the center of Capri on foot, by taxi, or by bus. 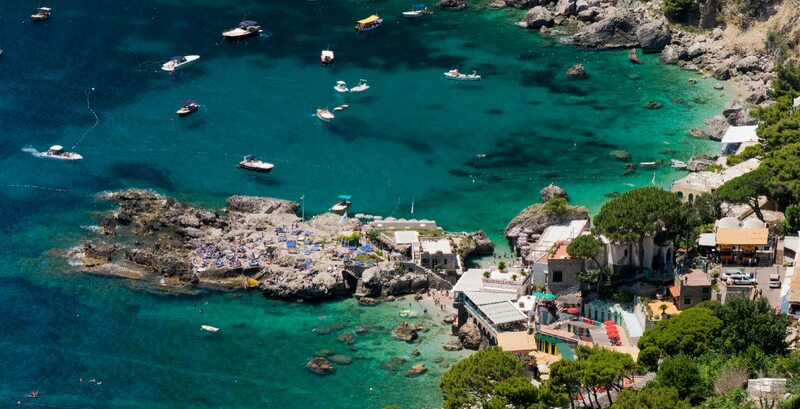 From the bus stop, take the staircase on the right (when facing the small Church of Sant'Andrea) down to the beach with the da Gioia beach club. You'll find us there! "A beautiful sail...leaving from Marina Piccola instead of Marina Grande made everything less stressful and more relaxing. 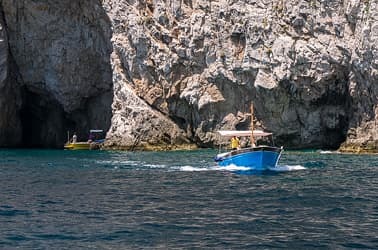 After our sail, we relaxed on the beach until late in the afternoon.."
"I chose this boat tour company because it's the only one that lets you take out a traditional gozzo boat without a skipper. 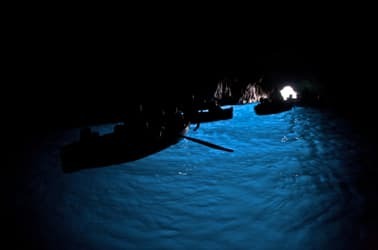 My girlfriend and I were able to boat along the coast in complete privacy." 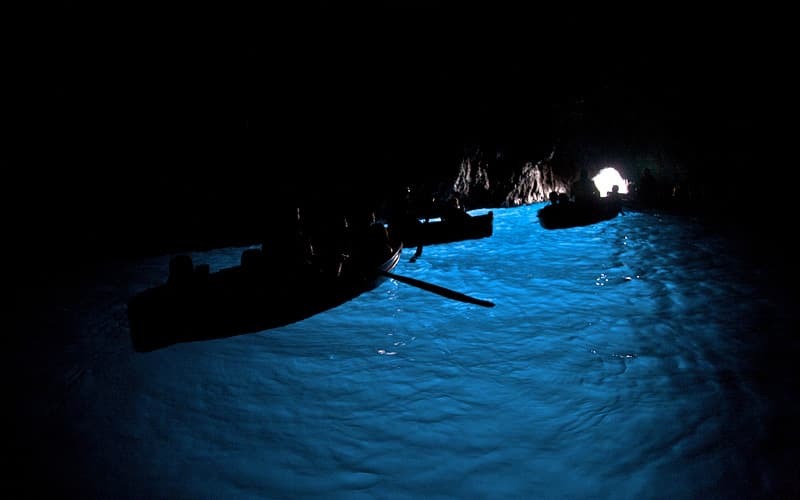 "A big thanks to Raffaele for the wonderful day we spent on the water off Capri. The boat was beautiful, comfortable, and furnished with everything we needed. 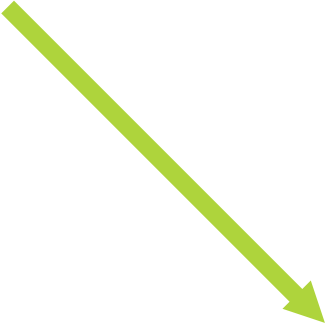 We'll see you next year!"